Recovering damages in a personal injury lawsuit isn’t always easy. While a jury might agree that you have been injured and are entitled to compensation, actually obtaining that compensation can be problematic, especially if the party you are suing doesn’t have the money to pay you. Benjamin Hintz received medical treatment at Holmes Regional Medical Center in Melbourne for head injuries he sustained when his scooter collided with a car driven by Emily Boozer. The car belonged to Emily’s father, who was insured by Allstate. Hintz sued the Boozers for damages (technically the guardian of Hintz’s property sued on Hintz’s behalf), and the jury awarded him more than $11 million. Note that the damages award was initially higher, but Hintz also acted negligently and the award was reduced accordingly. Allstate paid its $1.1 million policy limit to Hintz, but that was considerably less than the total damages award. So Hintz filed a separate medical malpractice lawsuit against his medical providers. Allstate and the Boozers intervened in this lawsuit, arguing that they were entitled to equitable subrogation from the medical providers. In other words, Allstate and the Boozers argued that medical negligence contributed to Hintz’s injuries, and that they should be able to recover the damages that they paid. The trial court dismissed the Allstate/Boozer complaint, holding that they weren’t entitled to equitable subrogation because they hadn’t paid Hintz’s full damages amount. But an intermediate appellate court reversed, holding that they could still bring their subrogation claim. The Florida Supreme Court disagreed with the intermediate appellate court, ruling that a party is not entitled to equitable subrogation from a subsequent wrongdoer if it has not fully satisfied the damages award. The $1.1 million by Allstate did not cover the entire award owed to Hintz, the court said. The practical impact of this case is that Hintz can focus on recovering damages from his allegedly negligent medical providers instead of worrying about those providers having to compensate Allstate and the Boozers for their share of the damages award. 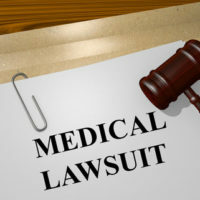 While the equitable subrogation doctrine has its place, that place is not in a medical malpractice lawsuit where the plaintiff is trying to make him or herself whole. The Florida Supreme Court recognized the importance of maintaining the integrity of both that doctrine and personal injury lawsuits generally. If you have been injured in a car accident and suspect that medical malpractice exacerbated your injuries, contact a West Palm Beach personal injury attorney at The Pendas Law Firm today for a free consultation. Litigation becomes even more complicated when there are multiple wrongdoers, which is why you should always consult with an experienced attorney who can help you recover the damages that you deserve.